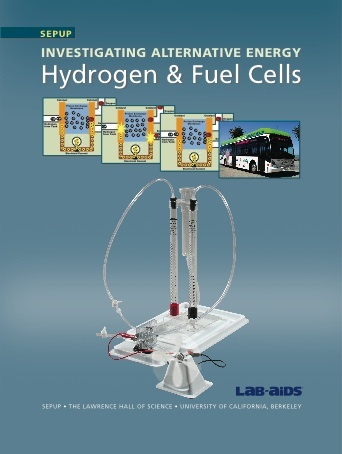 Below are a series of videos used in Activites 1 and 6 of the Hydogen & Fuel Cells module. Below you will find an additional series of videos for teachers that provide further information on the curriculum. This video guides teachers through the steps to setup and run the electrolyzer in Activity 2 of the Hydrogen & Fuel Cells module. This video guides teachers through the various ways of identifying the gases stored in the electrolyzer in Activity 2 of the Hydrogen & Fuel Cells module. This video guides teachers through the steps to operate the fuel cell in Activity 3 of the Hydrogen & Fuel Cells module. This video guides teachers through the Fuel Cell simulation and the fuel cell molecular modeling set in Activity 4 of the Hydrogen & Fuel Cells module. This video guides teachers through the steps to measure the energy efficiency of the fuel cell in Activity 5 of the Hydrogen & Fuel Cells module. This video describes many of the safety and troubleshooting issues that could potentially arise when using Hydrogen & Fuel Cells module.